Chiropractor Cape Town city centre helps you find your local DC. Chiropractor Cape Town city centre helps you find someone who can help you with your neck pain or low back pain. Neck pain treatment is vital with so many whiplashes in South Africa; our roads are the second most dangerous in the whole world. During any 12-month period 70% of the general population, and 48% of workers, experienced neck pain. Research reveals that 11.5% of the general population will experience pain that is so bad that it qualified for DISABILITY. Professionals at Chiropractor Cape Town city centre are available to help you with chiropractic neck pain treatment. Tingling in arms and hands is by far the most read page at this site. 8,619 folk read the page yesterday, for example. Whilst very occasionally tingling in the limbs may be caused by serious neurological diseases like Multiple Sclerosis, the underlying cause of tingling in arms and hands usually lies in the lower neck or with a first rib subluxation. Those at Chiropractor Cape Town city centre are available. There are dangers associated with every treatment and whilst it's true that one in 6 million neck manipulations may cause a stroke it's far safer than swallowing bucketloads of anti inflammatory drugs. ANTI INFLAMMATORY DRUGS cause the death of 14,000 Americans each year from an intestinal bleed, not to mention heart attacks and other iatrogenic illness; doctor-caused disease. CAM really stands for Complementary and Alternative Medicine. Debate rages, some chiropractors are happy with being Complementary to medicine, others feel we are definitely an Alternative, and others want to be part of mainline healthcare. I hedge my bets. We certainly offer an alternative to the usual medical approach of drugs and surgery, but in reality we also stand alongside medicine. And it wouldn't bother me if we became part of mainline medicine, provided we retain an element of independence; like dentists do. What actually happens at the CHIROPRACTIC COALFACE ...? Sacroiliac joint inflammation is a fairly rare, but serious condition. What comes as a surprise is that it often responds well to Chiropractic care. 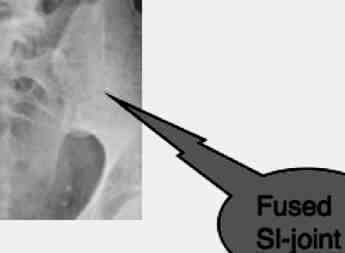 Here you can also learn about sacroiliac joint anatomy. Low back pain is the most common complain at the chiropractic coalface. A combination of free weight loss programs and lower back exercises is often a huge part of the solution. Healthy living tips is one of the most popular pages at Chiropractic Help. You can be sure that Chiropractor Cape Town city centre will have something to say on the subject. Whilst the directness of the Dutch people comes across initially as abrupt and rude, it's something I've come to respect. Because it is intrinsically more honest, that always wins out. So, here goes. Sorry, but if you're seriously overweight, there is only pain ahead. Back, knee, and ankle joint, and diabetes; think rather of our free weight loss programs. And if you're a smoker and obese, well then it's just a disaster waiting at your door. Direct, rude, abrupt, and TRUE. All of the above plus a stroke or heart attack. Start your children on Water for Kids, rather than all the fizzy drinks on the market today. Otherwise they too will be needing to go on our free weight loss programs. A litre of a common cola contains an unbelievable 32 teaspoons of sugar; obesity; all you are doing is selling sickness to your children. SELLING SICKNESS ... a short story.